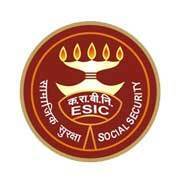 ESIC Jobs Recruitment Notification 2018.Employees State Insurance Corporation (ESIC) inviting applications for the positions of Senior Residents and full time/part time Contractual Specialists.Interested and Eligible candidates can apply for the positions. Applicants must be completed PG Degree / Diploma/ MBBS with relevant field. From the organization / Board. Applicants minimum age limit is 35 years and maximum age limit is 45 years. Selected candidates will get pay to check the official notification. On 29th August 2018 with essential documents candidates may attend the interview given below address.